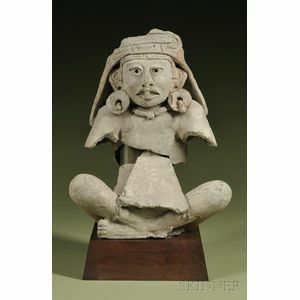 Pre-Columbian Fragmentary Seated Figure, Zapotec (? 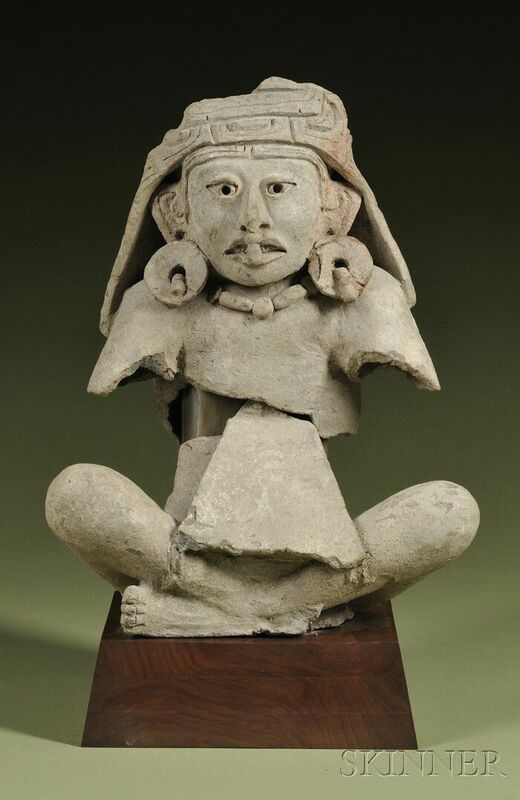 ), c. 450-650 A.D., sitting cross legged and with fragmentary headdress, ear, nose and neck ornaments, two pieces with custom stand, ht. 17 in. Provenance: Estate of Margaret Craver Withers, collected in the 1960s.